There was no fanfare surrounding the moment late in Thursday night’s loss at the Buffalo Bills when rookie wide receiver Rishard Matthews caught his first NFL pass, but it served as validation for him. 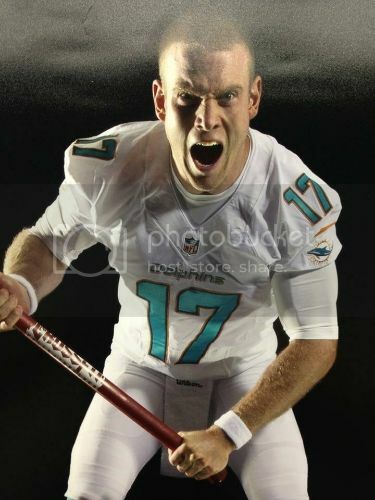 He also drew a nice pass interference penalty when he broke over the top and almost connected with Tannehill on a deep ball. Get this guy in the game more. Also get Lamar Miller, Michael Egnew, Olivier Vernon and Derrick Shelby more playing time. Let's see what these rookies got in this trial year. Since they will form the future nucleus of this team anyway. Be patient, we're only two games out of the playoffs right now. We're tied with Buffalo, New York, San Diego and Tennessee. All three of those teams are in the same boat we are. We're one game behind Cincinnatti. We're two games behind Indy and Pittsburgh. Indy still has to play the Texans twice. The Steelers are without Big Ben for at least a few more weeks. This season isn't over. Even though we're playing like crap lately. Stranger things have happened. If we can somehow find a way to steal a win from the Seahawks, we just might be able to stay in the hunt. I know I'm being overly optimistic right now. But hey, I don't want to see the team give up so easily. I want them to try and fight and be in the hunt up until the very end of the season. I don't think we'll see the young guys until we're mathematically eliminated. Na! we blew our window of opportunity. Lost all of our gift matchups. We're lucky to win 2 more this year. I have had your optimism ever since I have been a Dolphins fan, perhaps I need to do something different now and say this will never happen this year with Miami making any playoff run! Cutting Gafney should mean more work for Matthews. Good to see the Dolphins are going to take a good look at our rookie. Surely one of the many rookie wide receivers we brought in can contribute something this year. The tea leaves suggest the Dolphins are ready to promote rookie Rishard Matthews to the fourth receiver role going forward. I absolutely agree! I live in D.C. and Mike Shanahan (Redskins Coach) made a statement last week that got him killed in the media. He said "we will be using the rest of this season to evalute players since we are almost mathmatically out of the playoffs." Even though there is still 6 games left the Dolphins should be taking this approach. Slit time between Fasano and Egnew, give Miller 15-20 touches against Seattle and for Gods sake START RISHARD MATHEWS!!!!! This kid has shown he can make plays and DUH! he is our ONLY deep threat. We should be going 4 wide with Hartline, Bess, Mathews and Moore. Gaffney is gone (waste) so please Philbin put in the young pups and see if they bark!